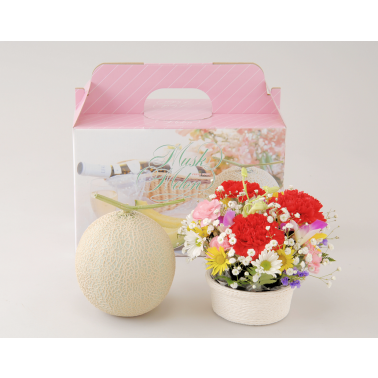 High-class fancy melon and beautiful flower basket combination makes an excellent gift to your special ones for any occasions. 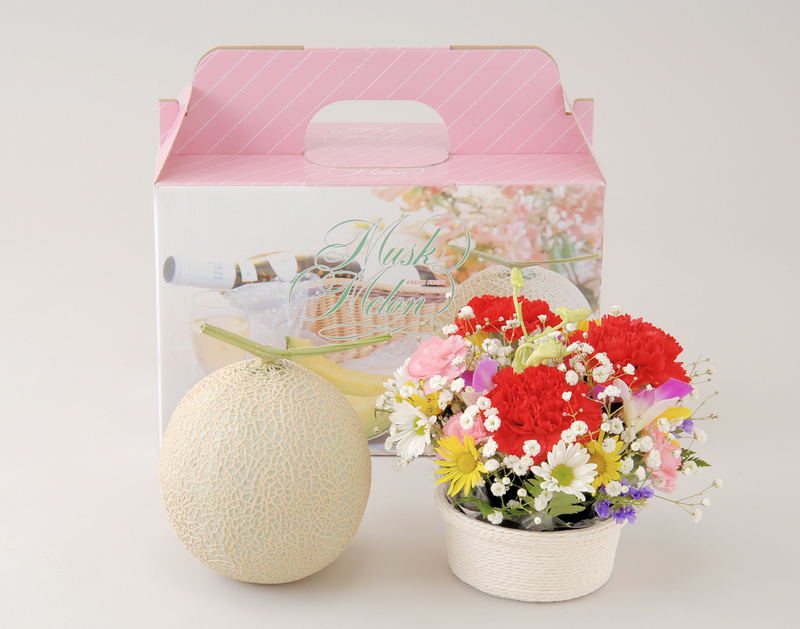 This Muskmelon is known as very pricy and the most delicious Melon in Japan. We carefully select the perfectly ripe, sweet and jucy one for you to send. As birthday, get well, thank you, congratulations, or any happy occasions gift, this would be perfect.
! Flowers may vary slightly depending upon seasonal availability.